Give a snuggle-buddy to someone you love with this easy craft using the single socks that magically come out of the dryer without mates. If you intend this Easter bunny to be someone's companion, use the softest sock you can find. If you want to display it somewhere it might get stained, such as a kitchen, choose a sock easy to spot clean. 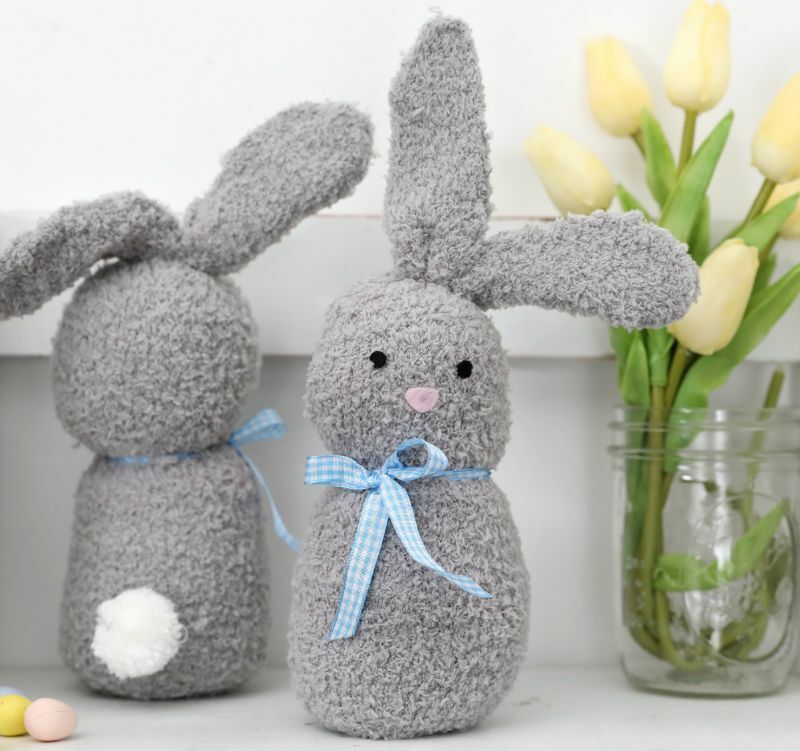 The tutorial uses a gray sock, which is great for a neutral Easter bunny that blends in with most decor. If you want the rabbit to stand out, use a patterned sock such as polka-dots, or a brighter color such as neon green. 1. 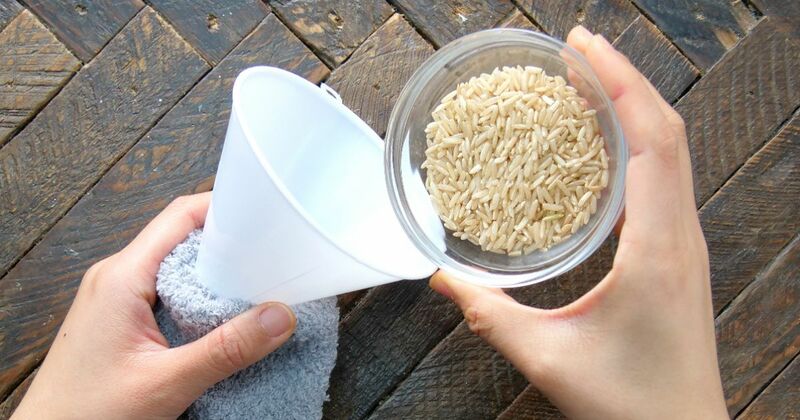 Funnel the rice to the bottom of the sock. Add stuffing up to the ankle (the top of the heel). This results in a cylindrical shape. 2. Tie a piece of ribbon in a bow around the center of the cylinder, slightly higher than one-half of the way up from the shape's bottom. 3. Tie a piece of string as tightly as possible around the sock just above where the stuffing ends at the top. Trim off excess string. 4. Cut a line down the middle of the unstuffed sock (the crew part), stopping 1 inch from the white string. This separates the sock into two "ears." Round off the ears' tops using scissors. 5. Seal the front and back of each ear with hot glue. 6. Cut two small circles from the black felt. These are the eyes. Glue them on the top stuffed portion where you want the eyes to be. 7. Cut a small rounded triangle from the pink felt. This is the nose. Glue it on the top stuffed portion where you want the nose to be. 8. Apply a dab of glue to the pom-pom. Place it on the rear lower portion where you want the tail to be.